Chicago-based exoneration specialist Kathleen Zellner's got it. Her record speaks for itself. Over the past two decades, she has righted more wrongful convictions than any private attorney in America. What's her secret? The Herculean task of untangling official lies, investigative bias, prosecutorial misconduct, ineffective counsel and forensic junk science to free 19 innocent men requires more than intellectual firepower (of which Zellner possesses a chess grandmaster's surplus). The job demands iron will and unshakeable fortitude to beat a system rigged to preserve government errors and protect prosecutions. As the "Survivor" slogan goes: "Outwit, outplay, outlast." "If someone's innocent," Tenacious Z says with trademark bluntness, "you find a way." In case you've been living in a cave, Zellner is the breakout star of Netflix's "Making a Murderer: Part 2," released last month as a follow-up to the original 2015 documentary on the plight of Wisconsin auto salvage worker Steven Avery. He served 18 years for an alleged sexual assault and attempted murder in 1985 that he did not commit. Two years after being exonerated and freed when DNA testing cleared him and identified the real culprit, Manitowoc County police and prosecutors faced Avery's $36 million civil suit against them. But just as two of the key architects of the wrongful conviction -- former sheriff Tom Kocourek and former prosecutor Denis Vogel -- were scheduled to be deposed, murder charges were brought against Avery and his nephew Brendan Dassey in the death of photographer Teresa Halbach. The case conveniently short-circuited the landmark civil suit and landed Avery and Dassey in prison, where they remain today. "There are 36 million reasons why they should be doing this to him." In addition to pursuing the "why" and the "how," "Making a Murderer: Part 2" provides a singular public service: Introducing millions of viewers to the world of post-conviction hell. The procedural obstacles are maddening, the investigative efforts painstaking and the wait interminable. 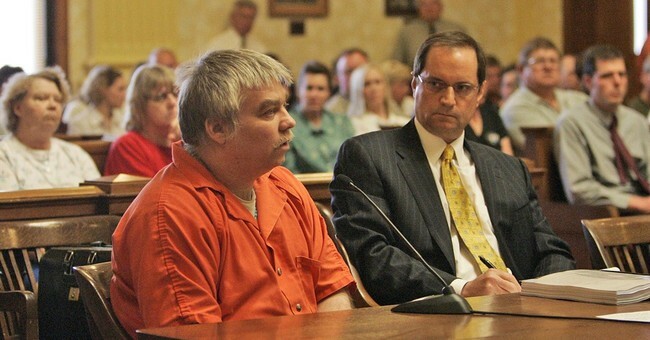 The series follows Dassey's lawyers' suspenseful trip up to the Supreme Court, but the heart of "Making a Murderer: Part 2" is Zellner's multipart master class on how to undermine confidence in a verdict by uncovering new evidence and exposing suppression or concealment of evidence that affected the outcome of the trial. While old and new fans of the show have been riveted by the post-conviction crash course, snooty New York TV critics and jaded Hollywood entertainment reporters have turned up their noses at the 10-part series. Most of the complaints are nonsensical and self-contradictory: "Making a Murderer: Part 2" is too "slow" and ponderous, they carp, while simultaneously resurrecting criticism of the original series that too much information was left out. That's a typical pro-prosecution talking point of the establishment Wisconsin whiners. Leaving out some material is not a sign of subversive bias. This is documentary journalism, not stenography. Let's get real: Avery's case record is 20,000 pages long. Any news article, broadcast or documentary on any court case is going to "omit" material. If you need every last bit of information, find a court reporter or file a public information request. The beauty and genius of "Making a Murderer: Part 2" and Zellner's approach to unraveling Avery's wrongful conviction is that it encourages transparency and incentivizes viewers to do their own homework. Zellner's populist instincts explain her command of Twitter; her account has exploded since the new series' debut last month. Unlike the Good Ol' Boys Club of government prosecutors and privileged class of media heel-biters, she engages, responds and crowdsources on social media with the same zeal she brings to every one of her cases. She detests incompetence, secrecy, corruption and perspiring abusers of power. I've come to know Zellner and her extraordinary work through my own initiation into wrongful convictions over the past two years, since I first started investigating the case of former Oklahoma City police officer Daniel Holtzclaw. Zellner is defending Holtzclaw against federal civil suits filed by accusers (many with shocking criminal records of violence and lying) whose uncorroborated, ever-evolving tales of sexual assault were procured by biased detectives and unscrupulous prosecutors. What especially stands out to me is that in deconstructing fake narratives during her search for truth, Zellner eschews political correctness like no one else in the innocence community. Her exonerees and clients are black and white, poor and middle-class, from ghettos and flyover country, civilians and cops. She doesn't worry about academic sensitivities or ideological orthodoxy. And she doesn't yield to elitist expectations about the polite and proper way to "practice" law. Leave no stone unturned. Make no apologies. Never give up. That's the Zellner way.